In a year that saw the capital turned into a flurry of cultural activity to celebrate the Olympics, with many venues creating special events and one–off shows for the occasion, it was Shakespeare’s Globe that stood head and shoulders above the rest. Its season of productions in the multilingual Globe to Globe Festival, which featured as part of the London 2012 Festival, was a phenomenal feat. The challenge involved in inviting 37 international companies to each perform one of Shakespeare’s plays in their native language in the space of six weeks – which resulted in 14 world premieres and more than 85,000 tickets sold – should not be underestimated. The summer event brought in new audiences who had never set foot in the venue before, with around 80% of all bookings being first-time Globe visitors, and provided an extraordinary showcase of work to the world. Aside from its creative output on the South Bank, the venue also saw its shows transferred to the West End and taken on hugely successful tours. The all-male productions of Twelfth Night and Richard III, starring Mark Rylance, transferred to the West End’s Apollo Theatre at the end of last year to play in repertoire and are running until February 2013. Howard Brenton’s Anne Boleyn visited venues across the UK in partnership with English Touring Theatre and played to unprecedented audiences sizes, while the venue’s touring production of Hamlet was taken to the US. Anticipation for the venue’s new indoor Jacobean theatre – to be named after the Globe’s founder, Sam Wanamaker – adds to the excitement surrounding the company’s bold creative choices. The judges were also keen to point out that the Globe has achieved all this with no regular government funding. In a very competitive category, it was the combination of the quality and range of productions that Sheffield Theatres offers that made it stand out. Encompassing the Lyceum, the Crucible and the Studio theatre, the organisation was praised for both its in-house productions as well as its programming of touring shows. 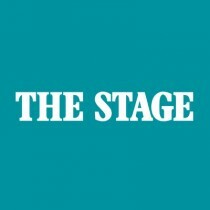 Last year, the venue staged a sterling month-long season dedicated to Michael Frayn, reviving his plays Copenhagen, Benefactors and Democracy – with the latter transferring to London’s Old Vic theatre and also resulting in a Theatre Awards UK win for Aidan McArdle’s supporting performance. With artistic director Daniel Evans at the helm, the venue also created hits last year with Macbeth, which was directed by Evans, and the Stephen Sondheim musical Company, which he starred in. Sheffield Theatres’ work with Paines Plough last year also won it praise. The venue co-produced and launched the touring company’s season of work in its purpose-built Roundabout Theatre – a portable 138-seat in-the-round auditorium. Three world premieres comprising Nick Payne’s One Day When We Were Young, The Sound of Heavy Rain by Penelope Skinner and Lungs by Duncan Macmillan all featured on the bill and went to London’s Shoreditch Town Hall before a national tour. With all that under its belt, it’s not surprising that the theatre continues to attract big industry names. Currently running at the Crucible is My Fair Lady, starring Dominic West, and a new musical, This is My Family, is billed for later in 2013 featuring Sian Phillips in the cast. Despite funding cuts from both its local authority and Arts Council England in recent years, the judges felt that Sheffield Theatres continues to produce exemplary shows, serving a local and national audience that greatly values its work. The Union Theatre might appear unimposing, tucked away under a railway arch in a converted paper warehouse in south London, but this 50-seat studio theatre punches well above its weight. Since opening in 1998 under the direction of founder Sasha Regan, it has created acclaimed in-house work as well as providing space to numerous outside producers. It has become especially known for musicals, both rare and popular, that have ranged in the past year from a production of Dempsey and Rowe’s The Fix to the more familiar Irving Berlin’s Call Me Madam, both staged by Michael Strassen. The theatre also excels in its all-male Gilbert and Sullivan productions. However, while some fringe venues might speak of sell-out performances as the highlight of their season, not many can boast of a tour to Australia as can the Union Theatre with its production of The Pirates of Penzance. After running at the Southwark venue for four weeks in 2009, Pirates moved to nearby Wilton’s Music Hall in 2010. The show transferred again to Kingston’s 900-seat Rose Theatre later in the same year and then in 2012 toured to Australia – opening in Canberra and closing in Sydney – over six weeks. Aside from its burgeoning international reputation, the theatre is also becoming known for reviving either lesser-known plays by Shakespeare – such as King John, which ran early last year – or pieces thought to be written by him, such as Double Falsehood which was staged in 2011. All in all, this is an unassuming venue with gargantuan aspirations that deserves recognition for the quality and success of its work at home and, more recently, abroad. Described as providing lunchtime theatre, Glasgow producer A Play, a Pie and a Pint shows that this unique model not only thrills audiences, but provides a significant amount of work for actors in Scotland. Staged in the crypt of a church converted into an entertainment venue, the 45-minute shows fit into a lunch break. Audience members order their pie and pint at Oran Mor’s pub, which is housed within the converted building, before taking their seats. It’s a format that has become immensely popular since the company was formed in 2004. What is particularly impressive is both the quantity of new work – nearly 40 pieces a year – that the producer commissions, and the fact that it does this without subsidy and while still paying its actors unionagreed rates. Last year, the venue celebrated its 250th play. The concept and plays have also transferred elsewhere. Led by artistic director David MacLennan, in 2012 the company created shows such as Faith Fall by Frances Poet and The Room in the Elephant by Tom Wainwright, which both went on to run at Bristol’s Tobacco Factory. Plays often go on to the Edinburgh Festival Fringe and its regular collaborations with the Traverse Theatre have also been hugely successful. Last year the company worked with the Edinburgh venue and the National Theatre of Scotland to commission a 50-minute play, called One Day in Spring, written by 24 authors from the Arab world, which was curated by David Greig. A Play, a Pie and a Pint pioneers a truly innovative way of producing theatre that encourages new writing, produces a high turnover of outstanding plays while still paying its employees properly. For these reasons, the judges believe it is a most deserving winner. With its first campus in south-west London, it was a brave step for successful drama training centre the Academy of Live and Recorded Arts to take when it established a new school in Lancashire in 2010. But three years on and the standard of ALRA North’s first set of graduates in 2012 is testament to that decision. Founded in 1979 by Sorrel Carson and Caryll Ziegler, ALRA was the first drama school to offer training that encompassed live theatre, film and broadcasting. When it opened its northern site based in Wigan, it became the first Conference of Drama Schools member to offer regional and London training. It now has three-year, postgraduate and foundation acting courses available at the new centre, plus its technical production course. ALRA North is championing the provision of regional training for actors, which is considered crucial to the industry at a time when many local arts organisations are experiencing funding cuts. It also makes a strong case for better access to drama training, because it provides training at a lower price. Course fees at ALRA North can be some 25% less than the equivalent in the south – because the centre is in a less expensive location. Add to this the reduced cost of living for students and it becomes clear that this school is opening its doors to a wider pool of students than many of its London-based rivals. With former pupils of the Londonbased school including comedian Miranda Hart and actors Sarah Parish and Jimmy Akingbola, the panel is eager to see how the future careers of the northern graduates will shape the regional theatre of tomorrow and the benefits this will bring to the arts across the UK.